NDUR Survival Canteen Kit With Advanced Filter | BUDK.com - Knives & Swords At The Lowest Prices! 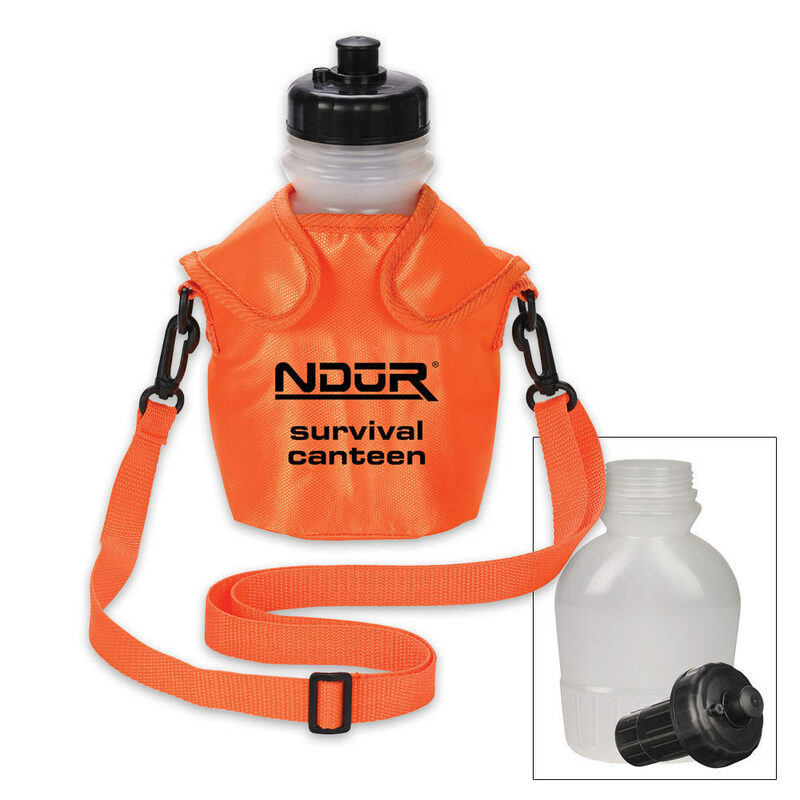 The orange NDUR Survival Canteen is constructed of BPA-free plastic and the filter can filter up to 100 gallons of water or more, depending on the source. The advanced filter removes up to 99.9% of chemicals and heavy metals, viruses, and bacteria, including E-Coli. With this survival canteen, simply fill it up and enjoy safe, clean water right away!